Miracast never really caught on; the standard seems to have lost what little ground it had to simpler solutions, like Chromecast mirroring, but it has its niche in environments with flaky Wi-Fi connections and programs which require low latency. The only problem? Finding an inexpensive, reliable receiver. Luckily for those in the market, Microsoft unveiled an option today. 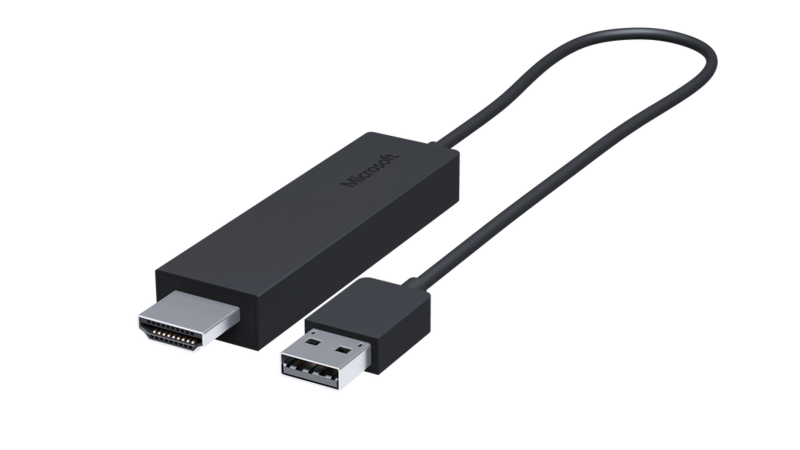 Microsoft’s Wireless Display Adapter, which looks sort of like a blockier Chromecast, is a USB-powered Miracast receiver which connects to any television, monitor, or projector via HDMI. It’s a no-frills device, meaning any smartphone, tablet, or computer which supports Miracast can pair with the receiver, and then mirror content on the connect display. The best part? It’s only $60. That may be a bit more than Chromecast, but it’s a relative steal for a device with applications in enterprise. The Wireless Display Adapter goes on sale in October. It should be compatible with most smartphones and tablets running Android 4.2.1 or newer.